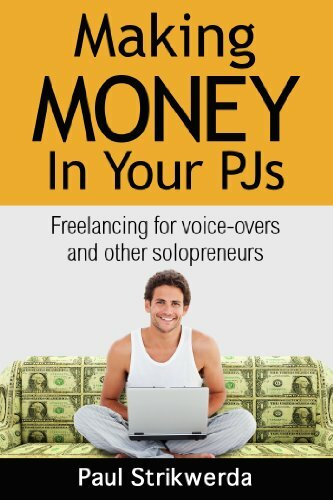 Making Money In Your PJs is the new book by author and veteran voice actor Paul Strikwerda. Subtitled Freelancing for voice-overs and other solopreneurs, it offers a unique look at what it means to be and stay in business as a freelancing voice for hire. Paul Strikwerda is a multilingual voice actor, coach, and writer with 30 years of experience. His weekly blog is one of the most influential in the voice-over industry. He’s an expert-contributor to Edge Studio, Internet Voice Coach, the International Freelancers Academy, and recordinghacks.com. Paul grew up in the Netherlands and now lives and works in the historic town of Easton, Pennsylvania.